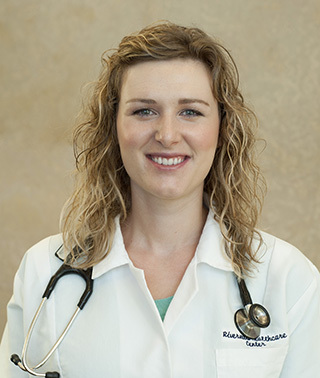 Dr. Melissa Herbranson looks forward to practicing the full spectrum of family medicine, including obstetrics, pediatrics and older adult care. She is especially passionate about women’s health and empowering women to become more engaged in managing their health and wellness. Personal philosophy/approach to medical care: Helping individuals understand and manage their health issues is very important to me. I find guiding patients through medical crises and encouraging healthy lifestyles especially rewarding. Living in a small community, Dr. Herbranson likes the personal connections with patients that can occur when participating in the same community activities and organizations. She enjoys gardening, fishing, hunting, walking trails on her land, and traveling.